PAM hosted an opening party earlier this week in celebration of their expanding Pro store. The evening was attended by Make-up designers from the Film & TV industry, plus Tutors from Make-up colleges…the room was full of BAFTA winners and the odd Oscar winner too! PAM now supplies a capsule Illamasqua range. In attendance at the event was Illamasqua’s Head of Professional, Spob, having dashed down from Manchester College after giving a talk and demo. 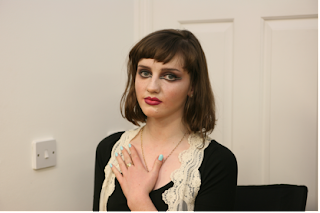 Also on hand was the lovely Clare Lille doing some lovely Make up to show off the brand and on the beautiful Delia who modeled for us. Upstairs you could also watch demos of the new silicone gun to produce wounds and cuts! ‘It was great to finally introduce the brand to some of Britain’s hardest working Make up artists and tutors. They don’t always have the time to come events, so it was great to see some old friends and meet some new ones too’ Spob – Head of Professional development. 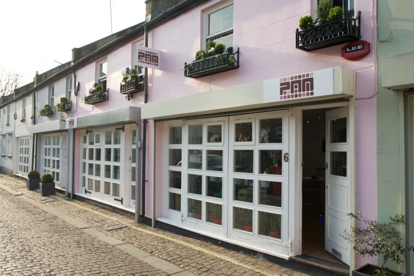 PAM is the go-to store for all things special effects and pro make-up related. 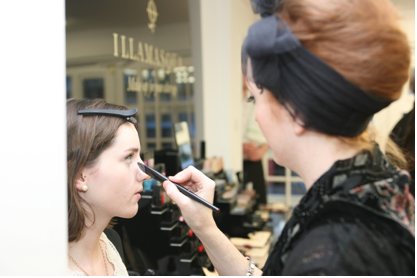 The PAM team are over the moon to have Illamasqua on offer to all students and Pros. Click here to sign up to Illamasqua’s Professional discount to use it at PAM!